Every single Tuesday for the past several months, we’ve been teaming up with hip new restaurant and performance space Acme Feed & Seed to host a free showcase of some of our favorite emerging local and national talent. 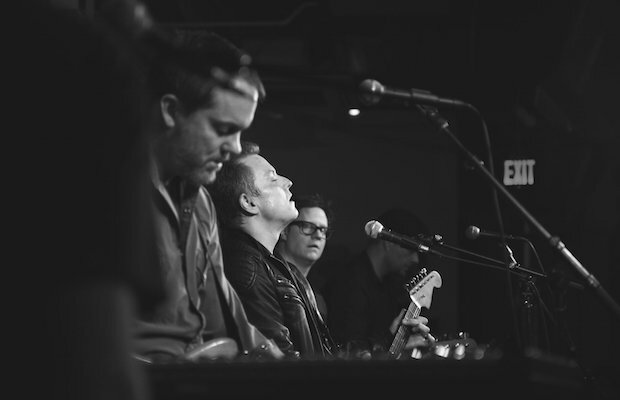 For our latest installment, which marked a special SXSW sendoff show, we were beyond excited to present the first ever live performance from The Lees of Memory (featuring members of Superdrag and more) along with locals Chrome Pony and DNK! Read on for more about it! DNK. Photo by Mary-Beth Blankenship. We love nothing more than bringing acts to Acme that might not otherwise find themselves performing on Lower Broadway. It the literal representation of what our site stands for: leading the charge for a new, more expansive offerings of everything happening in Nashville, and hosting it in the city’s most historic, music-built district. We’ve certainly dabbled in booking hip hop and pop acts before, but never have we brought you a band with such an energetic and stadium-ready marriage of those two influences as DNK. 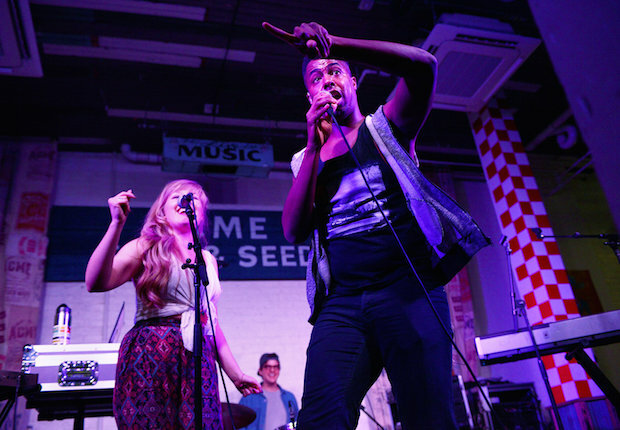 Made up of soulful, vocal powerhouse (and expert showman) David Davis, and rapper/vocalist Kayla Erb, whose unassuming, tiny stature is in no way indicative of her insane flow, DNK were rounded out by a handful of backing players and tracks, allowing their sound to land very glossy, fleshed-out, and sonically perfect. Relatively new to the scene, DNK relied heavily on cover songs, choosing pop hits from the likes of Nick Jonas, Katy Perry, and the like, though, with every selection, they effectively created their own remix- adding bigger hooks, extra rap verses, and more. The crowd seemed to be made up of half rock fans waiting for The Lees of Memory and half DNK fans; for once, the room was light on casual diners. Seizing the opportunity to work over new listeners, Davis employed tons of crowd interaction, diving into the audience and encouraging everyone to sing and dance along throughout. A perfect band for kicking off one hell of a party, DNK will, in all likelihood, bypass the local stage in no time; they’re just one proper hit away from becoming radio fixtures. Their sound might have seemed a bit out of place on this bill, but sometimes challenging audiences with something new is the best way to expand their palate. The Lees of Memory. Photo by Mary-Beth Blankenship. After hanging a huge, striking banner and loading up the modest Acme stage with as much gear as they could possibly fit, The Lees of Memory stepped out to the largest standing room crowd we’ve ever attracted on a Tuesday night. Typically, these showcases cater to about half showgoers and half tourists and casual diners who just happened to wander in, and, for this reason, we attempt to keep things at a manageable volume and book bands that won’t scare anyone off. With The Lees, we tossed all protocol out the window; this was one loud, important rock show, with the special distinction of being their first, and that’s what the packed house wanted to see. Though I’ve casually listened to Superdrag off and on over the years, they’re a band I never caught live when I had the chance, so I approached this new John Davis-led vehicle with an entirely blank slate (aside from giving their phenomenal debut, Sisyphus Says, several spins over the past few months). 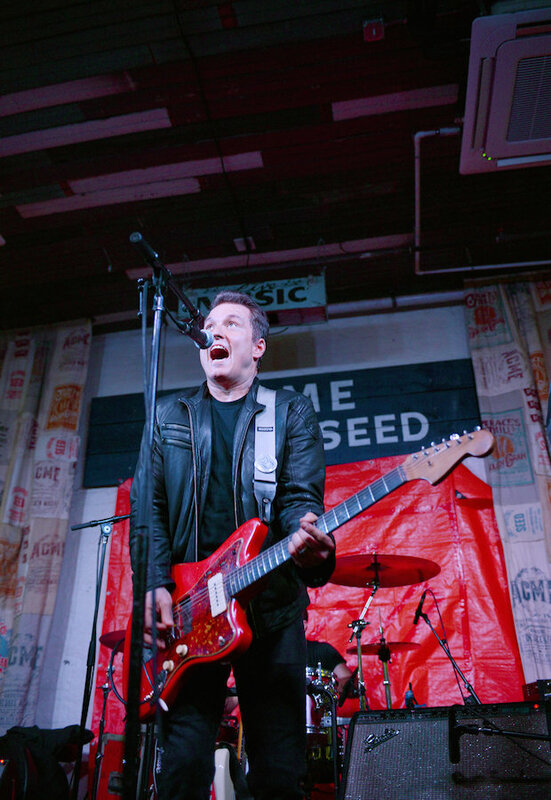 At 40, Davis (who still looks great by the way- total rock star) has an aura of experience with which he plays; this was a first show, sure, but far from his first show, and the amount of effort that went into preparing (they’re also heading to SXSW) was immediately apparent. The group, properly rounded out by Brandon Fisher (Superdrag) and Nick Slack (EPIC DITCH), plus live performers Sam Powers (Century Club, Carter Administration, Superdrag), Ethan Luck (Kings Of Leon, Demon Hunter), and Josiah Holland (The Lonely Hearts), launched into their best-known track and album opener, “We Are Siamese,” and the room lit up with elation, as if we were all witnessing a special, important moment in musical history. The Lees of Memory’s sound is very shoegaze-y, employing thick, layered tones and hypnotic, drawn-out song structure. The sextet nailed every nuanced texture and harmony, and, despite testing the limits of the room’s comfortable volume, recreated the grungy, dense tone of their Nick Raskulinecz produced full-length almost flawlessly. To them, this might have been a warmup for their much more hyped SXSW debut, but, to us, it felt like fully-formed performance from a band who’ve managed to find their voice quickly and decisively. Fisher and Davis traded vocal duties, and, across the board, everyone on the stage flexed a restrained technical prowess, trudging through a fan-friendly set which also included “Open Your Arms,” “Little Fallen Star,” “Not a Second More,” “Deliquesce,” “Landslide,” and “Lower Atmosphere,” – nearly in running order, which is a great nod to the cohesive and well-designed way in which their album flows. Absent were any covers or bloat; bands only get one shot at a first show, and, for theirs, The Lees of Memory doubled down on their strongest, most representative elements, delivering a hypnotic, sonic gut-punch of a performance that left every single person in the room feeling satisfied. This is, unequivocally, one of the most exciting moments of our residency at Acme, and we can’t wait to see more of The Lees of Memory soon. Bringing the set home, local transplants Chrome Pony took the stage to a slightly thinning but doubly enthusiastic late night crowd. Unlike The Less, Chrome Pony are a tried and true fixture in the local live scene, and one whose show we can always count on to be outstanding. Their fans stood strong as they launched into a lean set; energetic, sure, but also somewhat calming and cathartic to help bring us down from the high of the sonic freight train that proceeded. 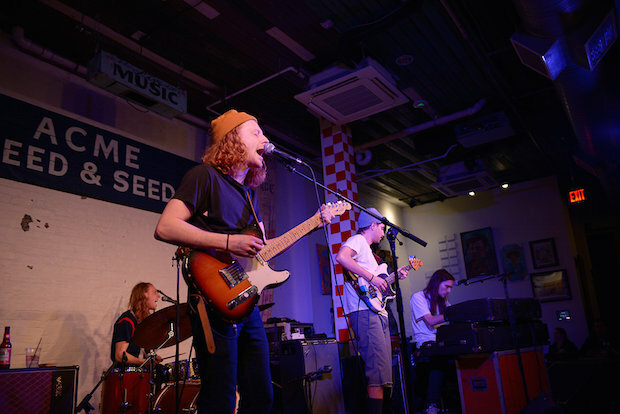 The local boys performed a similar set to the one we caught last month at The High Watt, filling the room with their energetic vibes, psychedelic grooves, and punk rock bite. A lot of garage rock acts in Nashville are channeling an affinity for retro sounds these days, but few groups embrace the old while sounding fresh as new as expertly as Chrome Pony. Tracks from last year’s You Are the Pisces were, per usual, a delight to to see, and we caught a few new jams as well (the group are slated to release at least one new album this year). Subdued and confident, Chrome Pony played with a seasoned and straightforward approach, allowing their excellent songs to drive their set. It’s always great when we can bring some of our favorite acts representing the many facets of Nashville’s rich scene together, and capping off the night with Chrome Pony was such a treat. Hey Austin, don’t miss out on any of these acts at SXSW! Our free, weekly Acme showcase continues this Tuesday, March 17, for a special St. Patrick’s Day celebration with Alanna Royale, Bosley, and Laura Reed. We hope to see you there!